For most people, aging is just as much undesired as it is inevitable. As humans, we can’t help the fact that the aging process is real, but that does not mean that aging has to be done gracelessly or without management. The reason why aging is undesirable is due to the effect aging has on a person’s appearance, vitality, and function. Due to the effects of aging, the anti-aging market is one of the most profitable industries in the United States if not the entire world. Everything from creams and hair restoration products to sexual performance weight loss pills continues to flood the market. Consumers everywhere are always on the lookout for an edge in looking and feeling younger. However, the sad truth is that many treatments or regimens do not perform nearly as well as they are advertised. That’s why more people are turning towards actual medical options to get ahead in their age management. Research continues to develop as advances in medical and aesthetic medicine continue to develop. One option that has demonstrated clear medical benefits, and is showing promising results from an aesthetic perspective is platelet-rich plasma. Known as PRP therapy, the procedure is a non-surgical option that works by injecting the patient’s own platelets within the blood back into the area of the body getting treatment. The premise behind all platelet-rich therapies is to essentially kickstart the body’s own ability to regenerate what is lost via its own growth factors. The concept of Platelet Rich Plasma therapy was initially developed in the 1970s and first used in 1987. Starting in the 1990s PRP began being used for cosmetic medicine, orthopedics, dentistry, and more. Only recently has PRP been used for improving upon the hairline, face, and sexual health and function for both men and women. Continue reading to learn more about platelet-rich therapy for hair restoration, facial rejuvenation, sexual health, potential side effects, and getting started with PRP therapy. One of the most obvious signs of aging is hair loss. This is largely due to the high visibility factor since the head is rarely covered. Hair loss affects both men and women equally. One of the most common conditions faced is male or female pattern baldness. This condition usually starts to affect people in their 50’s and older but can start earlier. That’s why hair restoration treatments have only increased in popularity. However, the treatments usually require constant maintenance else limited results are produced. Platelet Rich Plasma therapy for hair restoration has grown as a treatment because of its reported success in improving upon hair count, hair thickness, and the growth phase for the hair. Fortunately, the process for hair restoration is a simple three-step process. The process involves withdrawing blood from the patient themselves, spinning it down in a centrifuge to separate the plasma from the blood and divide into platelet-poor plasma and platelet-rich plasma. 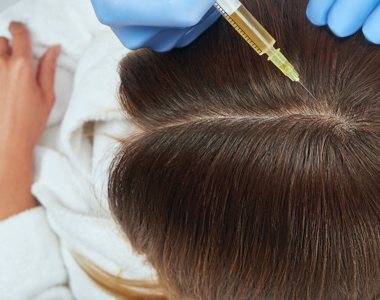 After the platelet-rich plasma is ready, it is re-injected back into the areas of the scalp that need increased hair growth. Anyone experiencing hair loss is potentially a good candidate for PRP therapy for hair restoration, but so far the best results have been experienced in those patients who are in the early stages of hair loss. To ensure optimal results, maintain consistency in treatment and post-treatment care. Without question, when it comes to looking younger the most visible area of concern for women and men is the face. Anti-wrinkle creams and scar reduction ointments dominate the over the counter options available with aesthetic options like Botox and microneedling leading the way for non-surgical procedures. However, medical advances continue to develop leading to relatively new methods of treating concerns like wrinkles, age spots, scars, acne, and other facial aging concerns. Growing in popularity is the use of platelet-rich plasma therapy for facial rejuvenation. More commonly known as the Vampire Facial, this treatment was made near infamous by Kim Kardashian, but has a great deal of research backing up its benefits to date. Just like with the method for hair restoration, PRP involved injecting the patients own platelet-rich plasma back into problem skin areas. A popular use of this treatment is to use PRP to augment the benefits of microneedling. Many patients have experienced a dramatic improvement in facial appearance and rejuvenation when combining the effects of both treatments. 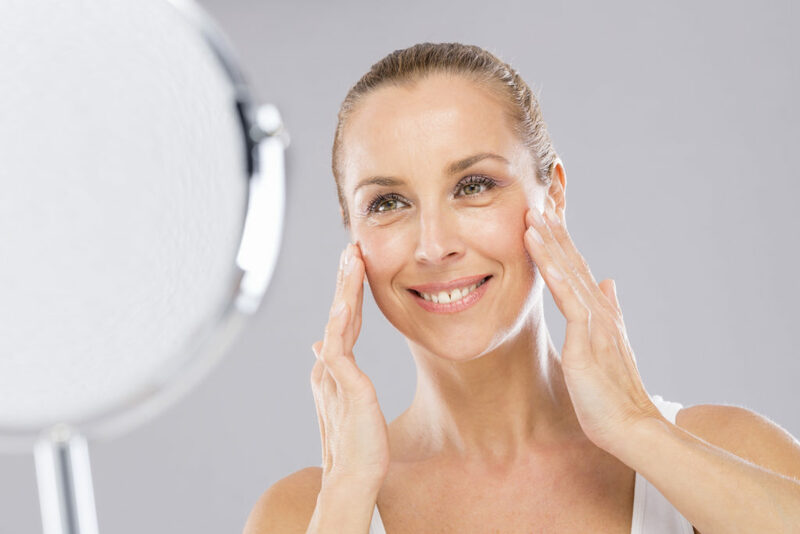 One of the most common reasons for wrinkles and other signs of facial aging is the lack of collagen within the skin. Both the Vampire Facial and microneedling work to induce collagen production making them a leading treatment for patients who need help with that concern. PRP has also been designed to address and remedy sexual health problems for men and women. Some of the primary benefits for both genders are an overall improvement in sexual satisfaction as well as increased libido. However, the different genders operate differently and have different needs. A breakdown is provided on gender-specific issues addressed through PRP therapy. The largest and most important benefit with PRP therapy is the increase in sexual confidence and enjoyment allowing you the chance to enjoy optimal sexual health. One thing to keep in mind with PRP therapy for sexual health is that of all the different uses for PRP, this use is the newest. To improve sexual health and function via the O-Shot or P-Shot is considered revolutionary at this stage. As more research develops, the evidence will grow and the overall process is expected to become more refined. One of the largest benefits of PRP therapy is that the therapy is minimally invasive and non-surgical. This sets the tone for virtually no recovery time needed. However, different areas of the body respond differently to this treatment, which is why we provide a breakdown of the potential side effects per area. Because the procedure involves an injection with a needle, there are some potential side effects to be aware of concerning the two different shots for men and women. Generally comfortable, but there is a mild pinching sensation during the treatment. Side effects are minimal, but some redness or mild bleeding may be present at the injection site. Also comfortable due to the use of anesthetic cream. Some women experience soreness, bleeding, or spotting at injection sites that lasts for a day. Always remember to use a certified licensed practitioner that uses FDA approved centrifuges and other equipment. In addition, the key to minimizing or negating potential side effects is to use a practitioner that is trained and experienced in the procedure you choose for yourself. Every part of the body is layered with blood vessels, channels, nerves, and other tissue. One wrong injection can cause more problems than you started with. Your safety is the most important thing to consider when pursuing treatment. The cost of PRP therapy depends on a range of factors. The number of treatments, goals, treatment areas and your practitioner all play a part in determining what your total cost will be. In addition, you can count on a further price adjustment based on your geographic location and any extras you choose to add on with your treatment package. That being said, the average cost for each treatment is broken down below for your review. For hair treatments, the price is usually between $1500-$3500 for the initial round of treatments. The average cost of the Vampire Facial is between $1000-$2500 per treatment. The O-Shot and P-Shot average between $1200-$2000. Consult with your practitioner for financing packages if needed. The number of treatments depends largely on your starting point and your goals. Every person is unique and responds differently to treatment, which can affect the number of treatments needed as well. PRP for Sexual Health: 1-3 for women and men depending on needs. How long is the recovery time with Treatment? Since the treatment for all three treatment areas is minimally invasive you can expect little to no recovery time for all treatments. However, each treatment carries the risk of side effects that can affect recovery time for some patients. An experienced practitioner can greatly minimize your risk of side effects. Each treatment area has some specific warnings for patients to be aware of. PRP for hair and face requires that you minimize sun exposure for the first few days due to everything being opened up from the injections. For the O-Shot and P-Shot, make sure to refrain from sexual activity for at least four hours after treatment. For some patients, they may notice results within the first few days after treatment. Most patients will notice results after a couple weeks. Regardless of the treatment area, full results are not realized until at least a couple months after treatment. The length of time for noticeable results depends on your goals and starting point. Also, your own healing ability and general response to the treatment will affect the speed of results. If you feel like the results are not happening quickly enough, consult with your practitioner to determine if an adjustment to your treatment plan is needed. The key to long-lasting results lies in how well you stick to post-treatment care and maintenance. In general, PRP therapy is designed to help patients maintain results for an average of 1-2 years. Most patients elect to do maintenance treatments on an annual basis to maintain their results without the risk of sliding backward in results. The frequency of maintenance treatments will depend on your individual response to treatment as well as your goals. Effective and accessible age management options have never been so prevalent as they are today. The rapid advances in traditional medicine have given way to advances in aesthetic medicine. Remember that despite the potential and initial results of PRP therapy for aesthetic and sexual health purposes it is still very new. Ongoing research is needed to maximize the effectiveness of each treatment. That’s why your best bet is to work with practitioners that are considered experts in the use of PRP therapy. Finding an expert is as simple as visiting our online community. With AgeMD, valuable information detailing PRP therapy as well as qualified practitioners for this treatment is at your fingertips. Keep in mind that your health and safety comes first with any treatment. That’s why our mission is to give consumers control over their health by getting them connected with practitioners that are licensed, verified experts focused on PRP therapy.